For many years, the LSAT was used only in the United States and Canada. Then, several years ago, LSAC struck a deal with Melbourne University in Australia to have the LSAT used for admission to the JD program. 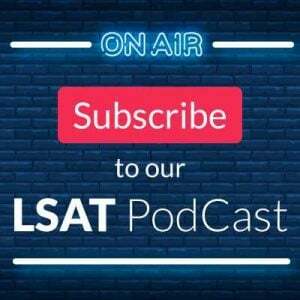 Over the past several months, we’ve discussed several other schools and countries that have also adopted the LSAT in some form, including schools in India, China, and Puerto Rico. But, why is LSAC doing this? The answer is market expansion and financial stability. To better understand what is occurring, it is useful to examine some of the testing wars that have been occurring in college admissions. While you might not think of standardized tests in this way, they are ultimately products, and the corporations that operate them have a “profit” motive based on staying in operation (I put “profit” in quotes since most of these companies are technically non-profits; that does not exempt them from the requirement to make enough money to stay in business, and in that sense their tests become products that need to compete and thrive in the admissions marketplace). One prime example of a “marketplace” battle between standardized tests is the one taking place between the SAT and the ACT right now. For many years, the SAT was the dominant undergraduate admissions test, but the ACT has been fighting hard, and just last year it overtook the SAT in terms of number of tests administered each year (I could get into the fascinating reasons of how and why this occurred—hint: a killer sales pitch and superior marketing played a role—but this is not the place for that discussion). Another battle is closer to the heart of the LSAT, and that is the one occurring between the GMAT and GRE, two graduate admissions tests. For a long time, I’ve considered these two tests close enough in content that I’ve thought they should just merge into one “super” exam. Ahh, but that would be far too logical and simple. Instead, the GRE embarked on a broad-based campaign to invade the territory of the GMAT (business school admissions), and they were ultimately quite successful. Today, most business schools will accept the GRE in place of the GMAT. This has occurred even though the GMAT made a strong move to make their test more uniquely business-oriented by adding a new Integrated Reasoning section. That move came a bit too late, however, to stem the adoption of the GRE that was already occurring. But there’s another aspect of the GMAT that LSAC took note of a while ago: the GMAT is the one truly global test among all the exams under discussion here. Tests like the SAT are typically used only in America, and any international test takers tend to be students intending to apply to US schools. But the GMAT is the de facto standard test for admission to business school worldwide, and thus schools in countries from the US to France to Singapore all require the GMAT (think about that for a moment: to go to business school in France, you take a US-based, English language test). Approximately 60% of all GMAT takers are non-US citizens, which is an excellent indicator of the globality of the GMAT. Even a surface analysis reveals that this global usage increases revenues for GMAC (the company that oversees the GMAT) and also entrenches the test more firmly into the admissions structure, making the test more likely to survive over time. This is where the LSAT comes in. 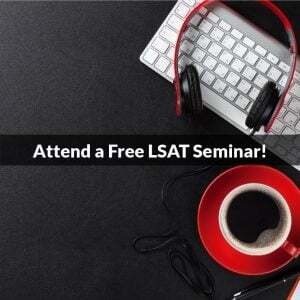 The use of the LSAT in US and Canadian law school admissions is well-established. But, this means that LSAC revenue is strongly affected by changes in test taker volume. And test taker volume has been cyclical over the years. One way to combat that problem is to increase the number of test takers from other markets (especially in economies where there is growth, and thus test taker numbers would be expected to rise over the years). The US legal education system is well-respected worldwide, and some countries—India is an excellent example—have moved to emulate aspects of the US system. The LSAT is certainly in prime position to move into these markets, increasing overall revenue, but also increasing the name brand of the test, making the LSAT harder to challenge in the future should some other exam attempt to enter the market (the extremely high quality of the LSAT is also a barrier—LSAC does a phenomenal job overseeing the exam, and the test-making standards and quality of the exam are exceptional). And note the markets that LSAC has played with: India and China, and the spanish speaking market. In other words, three potentially massive markets in terms of population, and thus test taking numbers. Will LSAC achieve their goal of bringing their test to the world stage? Maybe. Tests like the GMAT and GRE are based on math, and, to a certain extent, basic English principles. These items are more clearly defined, and thus easier to learn and test (and it is why the GMAT and GRE are both considered easier than the LSAT). The LSAT, on the other hand, trades on more nuanced ideas based on logic and the use of language, and testing those ideas in different cultures and languages is much harder than testing, say, geometry. This is why the LSATs produced for India and China have been watered-down versions of the North American LSAT. However, that very problem is what gives LSAC an advantage as they move to increase global test-taker volume: they already have a big head start against any competitor, and there are high barriers of entry on the world stage since each locale requires a different version. And, of course, the longer the LSAT is used in these new countries, the more entrenched it becomes. What does this mean for US and Canadian LSAT takers? Nothing really. The test we take here is at the pinnacle of test making standards and overall difficulty. But what occurs here will eventually be transmitted to other countries, and test takers worldwide should keep a close eye on developments in the flagship LSAT, because those changes will eventually make their way to the special tests administered elsewhere (albeit in a modified version). Thoughts or comments on LSAC’s attempt to take the LSAT worldwide? Please post them in the comments section below! Photo: “A game of Risk” courtesy of Laura Blankenship. Hi, I am an American, and I am going to be living in Spain next year during the time that I would like to take the LSAT. If I take it in Pamplona, will it be in spanish? Thanks for the question! No, the LSAT given in Spain is an English language test. 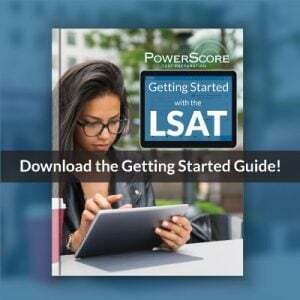 The only Spanish language version of the LSAT is given in Puerto Rico (as outlined here: http://blog.powerscore.com/lsat/bid/291747/The-LSAT-in-Spanish-Si). So, no worries here, other than in Puerto Rico it’s an English language test everywhere else. Hello! I will be studying abroad in France this Fall and have signed up to take the September LSAT in Paris. Do you know if it will also be administered in English, and whether the test proctor will speak english as well? Also, is the version given in France much more different or difficult compared to the US version? Yes, the test will be in English, and the directions will be as well! It’s actually the same as a “regular” LSAT, and has gone though all the same testing protocols, so it it will be the same general level of difficulty. It’s simply one of the many different tests they use, and when they give LSATs on different dates they like to use different tests for security reasons.